The Comet 1 first entered service with BOAC on May 2, 1952, on the London-Johannesburg route. UAT followed in February and Air France in August 1953, both using upgraded Comet 1As. Canadian Pacific would have been the third airline to put the Comet in service, but its second Comet 1A crashed at Karachi on the delivery flight in March 1953 and BOAC took over its other aircraft. Following the crashes of a BOAC Comet in January and a South African Airways Comet, chartered from BOAC, in April 1954, the Comet's Certificate of Airworthiness was withdrawn on April 12, 1954. Only after a thorough investigation of the cause of the disasters and an extensive reconstruction of the aircraft it reappeared as the Comet 4 series, inaugurating trans-Atlantic (pure) jet service on October 4, 1958. 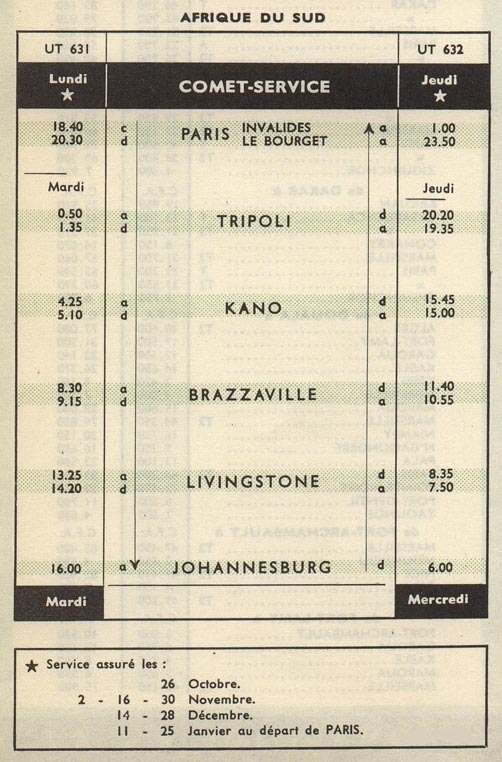 It is somewhat unexpected that none of the timetables shown on this page has a Comet on the front covers. With the exception of the SAA timetable, they didn't even advertise the use of Comets. The reason that the SAA timetable mentions the Comet is probably just because this was a separate issue for Comet flights. 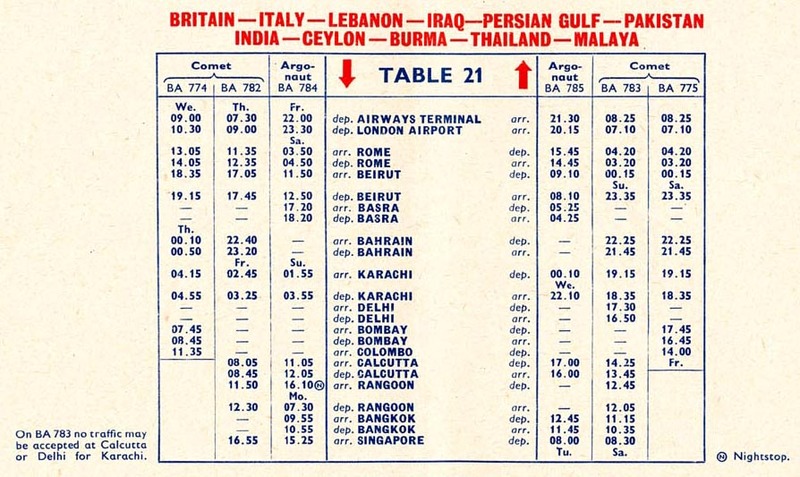 However, the image above is actually from a BOAC timetable. 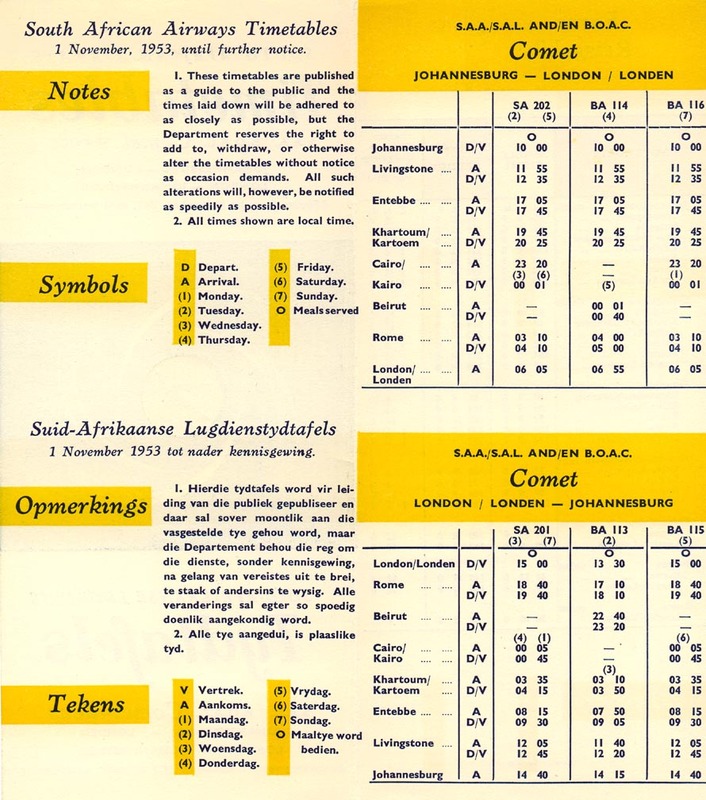 The airline's cover design included this picture of a Comet on timetables from July 1953 to June 1954 - well after the Comet's withdrawal. 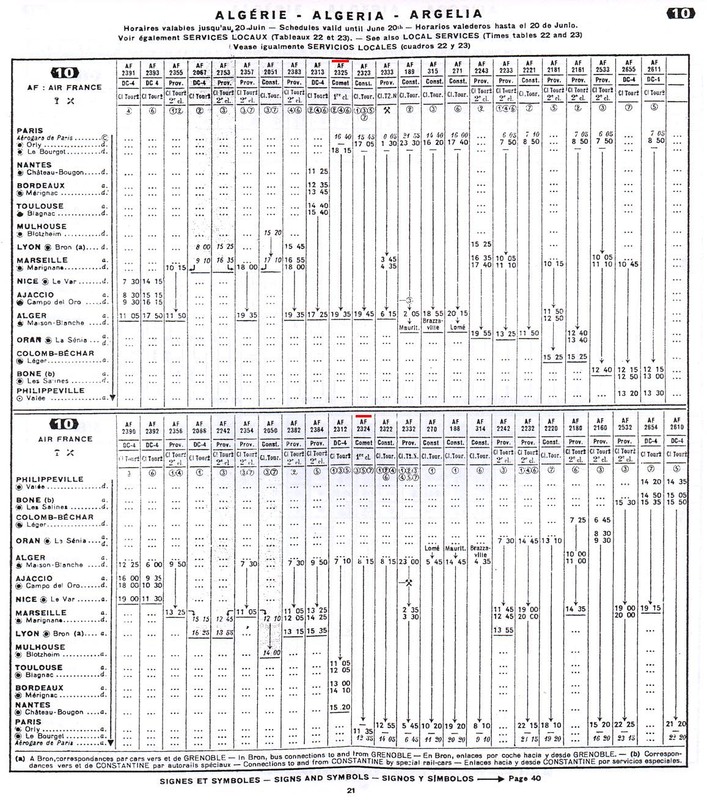 This timetable shows BOAC routes from London terminating at Johannesburg, Colombo, Singapore and Tokyo. 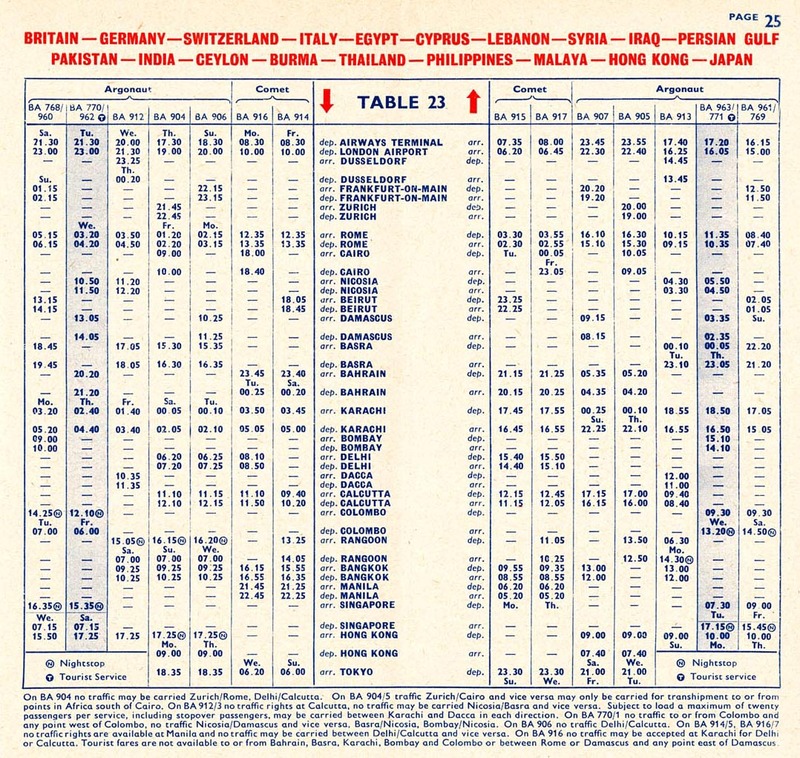 This was the network of Comet services operated by BOAC from April 1953 until April 1954. 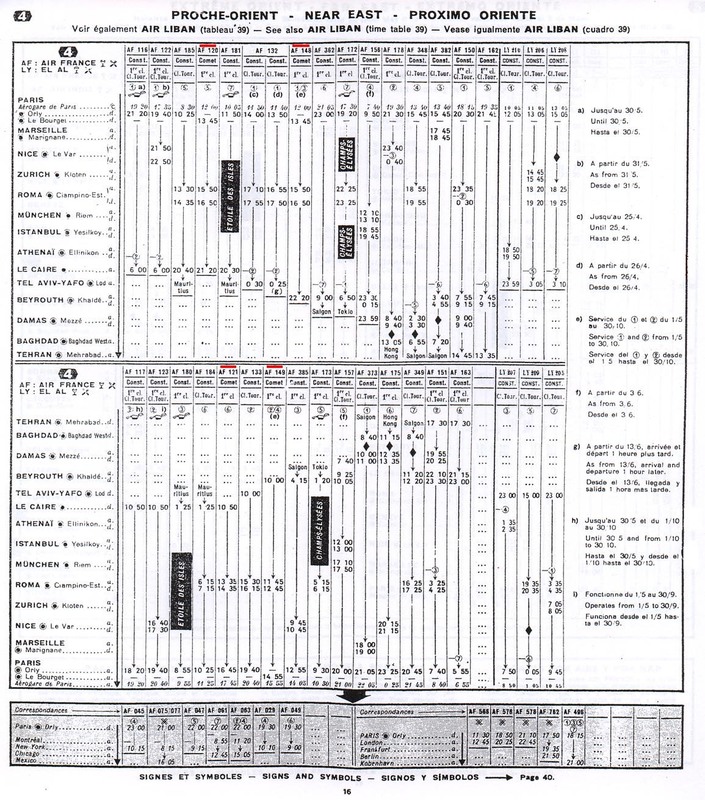 (Left: Canadian Pacific Steamships sailing schedule March 1953. Right: Canadian Pacific Airlines timetable April 27, 1953 from the collection of Perry A. Sloan. 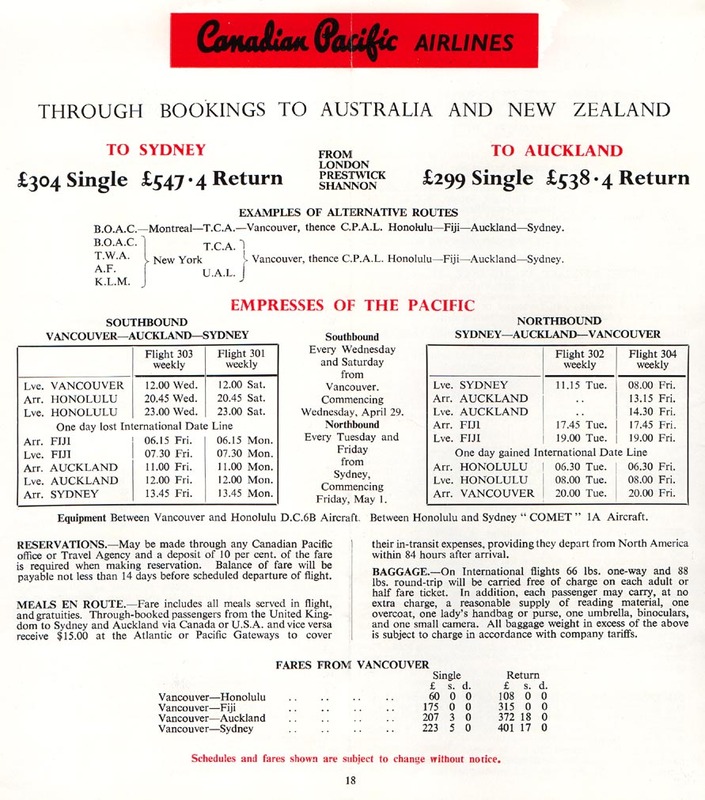 Images below are from a Canadian Pacific Steamships sailing schedule issued in March 1953, advertising the Comet soon to operate on Canadian Pacific Airlines' route between Vancouver and Australia, initially on the Honolulu-Sydney leg, with DC-6Bs connecting to/from Vancouver. The crash of one of its aircraft on the delivery flight caused the cancellation of Comet operation. 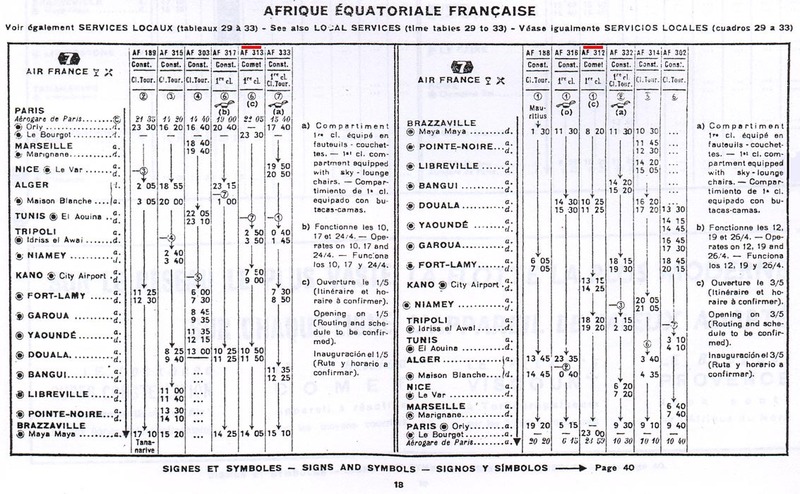 In addition to Comet routes from Paris terminating at Casablanca, Dakar, Abidjan and Brazzaville, UAT's winter timetable shows the extension of the Central African route to Johannesburg. Due to the stiff competion from BOAC's Comets on the London-Johannesburg route, South African Airways negotiated a deal with the British airline to charter a few Comets, which were operated with SAA crews and with SAA logos added to the livery. Operations started in the autumn of 1953 and it was technically an SAA aircraft which crashed at Stromboli in April 1954, ending Comet 1 services for good. 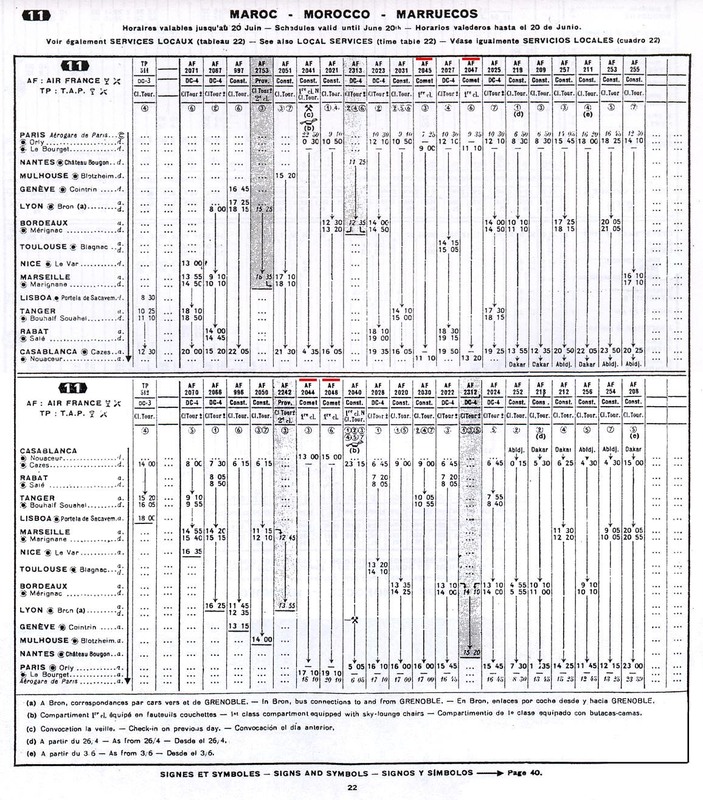 This timetable was effective from the day before the Comet's C of A was withdrawn. It shows the planned summer network of Air France's Comets (marked in red). 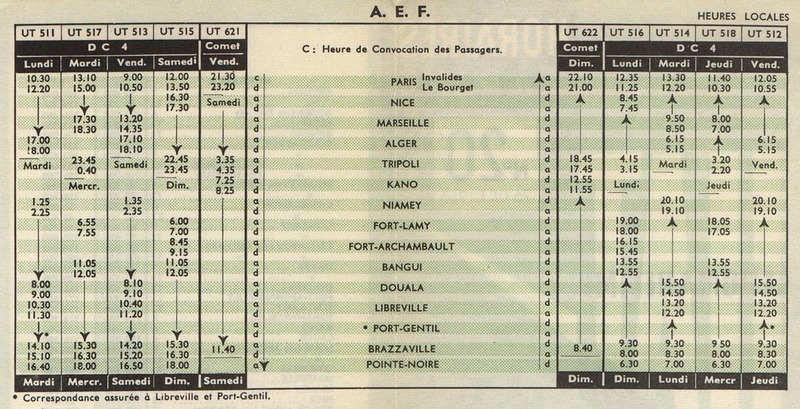 In addition to the established routes between Paris and Beirut, Cairo, Algiers and Casablanca, there would have been a new service from Paris to Brazzaville in direct competition with UAT as well as the first intra-European jet service of any airline: Paris-Stockholm. The return of the Cairo flight shown to land at Orly is a misprint. Comets operated out of Le Bourget. There is most likely another misprint here. Would the Tuesday flight to Stockholm have stayed overnight, not leaving until Wednesday evening? No, it must have been either a Tuesday or a Wednesday roundtrip flight.